After all the grandiose pre-event theatrics, the reason eight national teams with 48 surfers traveled from every corner of the globe to China began under cloudy skies at Riyue Bay. And the level of surfing did not disappoint. 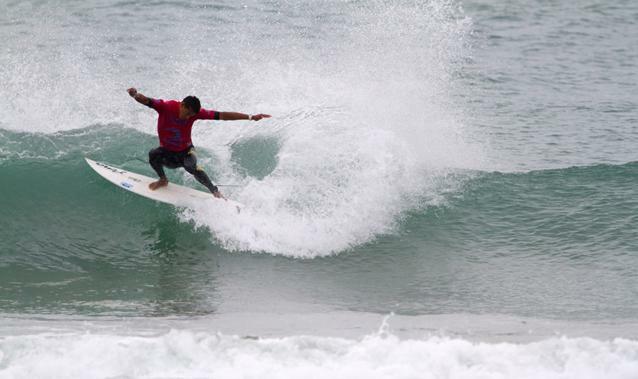 While a few National Teams saw their team trophy hopes diminished just a few heats into the event, others pronounced themselves among the favorites in the ISA China Cup, the first of two events that comprise the Hainan Wanning Riyue Bay International Surfing Festival Presented by Quiksilver. As the morning hours passed, the beach began to fill in with locals, tourists and the occasional dignitary. Among the notable names to take in the action were He Jintao, the chairman of Womei Media, and Wang Jian, one of the most successful businessmen in the country. Though the sport was new to most of the people in attendance, photos with the surfers were taken and applause was shared. Also sending a strong message to the opposition was ISA-newcomer Messias Felix of Brazil. The young, muscularly built surfer was all high-performance all day, launching various aerial maneuvers that had his teammates roaring and the Chinese spectators respectfully applauding. In a shocking upset in the final heat of the day, defending ISA World Surfing Games gold medalist Santiago Muniz of Argentina finished fourth in his repechage heat, which officially eliminated him from competition. In total, 16 men were eliminated in the first day of competition, leaving 16 to compete for the gold medal. Tomorrow, after several more heats of competition for the ISA China Cup, the ISA Aloha Cup, a team-driven contest, will begin. Immediately after that action-packed, one-of-a-kind event, there will be a memorial paddle out for Sean Collins, the founder of Surfline.com, which is the official forecaster for the Festival. The paddle out will be broadcast live on the webcast. The International Surfing Association (ISA) is recognized by the International Olympic Committee as the World Governing Authority for Surfing. It was originally founded as the International Surfing Federation in 1964 and has been running Open Division World Championships since 1964, Junior World Championships since 1980, and Masters World Championships since 2007. 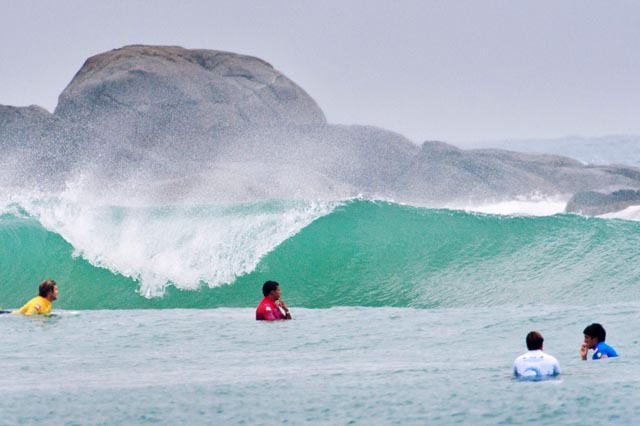 The ISA also sanctions the World Kneeboard Titles and the Tandem Surfing World Title, and the first stand-alone World Bodyboard Championship in 2011, and the first World Standup Paddle (SUP) and Paddleboard Championship will be held in 2012. ISA membership includes the surfing National Governing Bodies of 70 countries on five continents. Its headquarters are located in San Diego, California. It is presided over by Fernando Aguerre (Argentina), first elected President in 1994 in Rio de Janeiro and re-elected seven times since. The ISA´s three Vice-Presidents are Alan Atkins (AUS), Karín Sierralta (PER) and Debbie Beacham (USA).